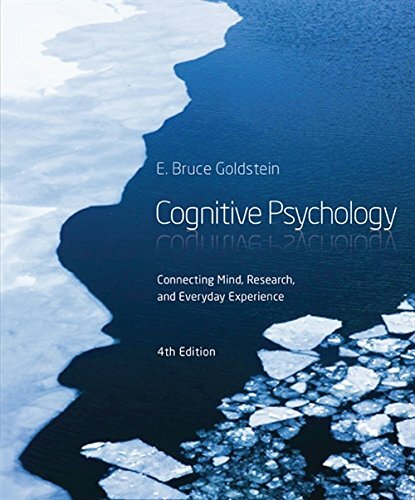 Access Code Not included Bruce Goldstein's COGNITIVE PSYCHOLOGY: CONNECTING MIND, RESEARCH, AND EVERYDAY EXPERIENCE connects the study of cognition to your everyday life. A wealth of concrete examples and illustrations help you understand the theories of cognition-driving home both the scientific importance of the theories and their relevance to your daily life. This accessible book introduces you to landmark studies and cutting-edge research that define this fascinating field. To help you further experiment with and understand the concepts in the text, COGLAB: THE ONLINE COGNITION LAB, AVAILABLE SEPARATELY contains dozens of classic experiments designed to help you learn about cognitive concepts and how the mind works.